The Victoria Cross is one of the premier military awards in the world. It has developed a reputation for recognition of extreme bravery on the field of battle. Few have been awarded in its history and only three warriors have been award two Victory Crosses. It would therefore be reasonable to expect that these three outstanding combatants would have been the subject of much coverage in print, both at the time of their awards and in the years since. 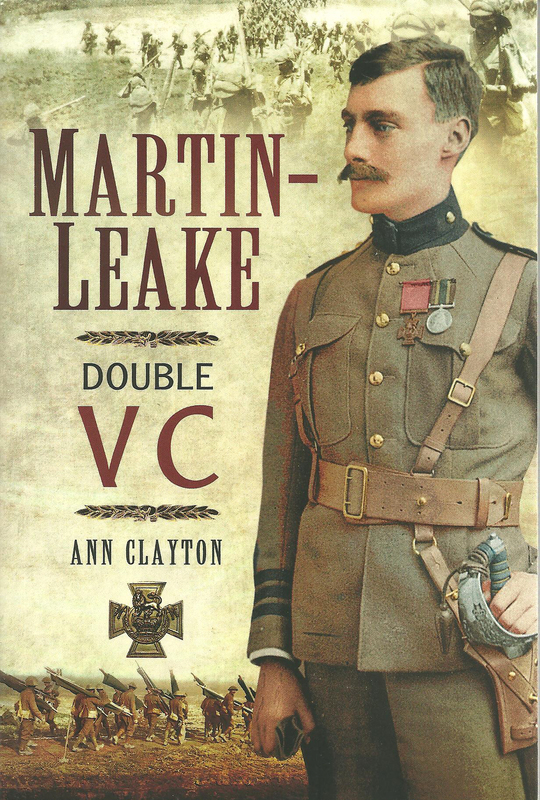 Amazingly this is the first book to be written about Arthur Martin-Leake even though his life is most interesting and the double VC such a very rare award. This book is important and every reader who has followed military history and the bravery exhibited during WWI should read this inspiring and fascinating account of an exceptional warrior. It is a great tale that is simply not to be missed. DESCRIPTION: The Victoria Cross is one of the premier military awards in the world. It has developed a reputation for recognition of extreme bravery on the field of battle. Few have been awarded in its history and only three warriors have been award two Victory Crosses. It would therefore be reasonable to expect that these three outstanding combatants would have been the subject of much coverage in print, both at the time of their awards and in the years since. Amazingly this is the first book to be written about Arthur Martin-Leake even though his life is most interesting and the double VC such a very rare award. This book is important and every reader who has followed military history and the bravery exhibited during WWI should read this inspiring and fascinating account of an exceptional warrior. It is a great tale that is simply not to be missed. Martin-Leake was an adventurer. He was brought up in a comfortable environment and became a doctor., spending much of his life working for an Indian railway company. That is not a background that suggests heroic endeavour on the field of battle. It might be expected with one with these qualifications and experiences that the closest to the battlefield might be a dressing station or forward hospital, but that was not the way it all worked out. Martin-Leake went to South Africa and was awarded his first VC for exceptional bravery in that war. He then went to fight in the Balkan War of 1912-13, which has received little attention in English language publications, even though it had a significant impact on the history of Europe for the hundred years that followed. Then he was to serve on the Western Front in the grim conditions of Flanders, where he performed far beyond the call of duty, to receive a second VC. This is the story of a full life and an exciting life. It will appeal to a range of readers. Naturally, it will be of great interest to military history enthusiasts and offer fresh insight into the wars of the period. It will also appeal as a human story of modesty and bravery and a love of adventure. It is a story that shows the attitudes of the time.